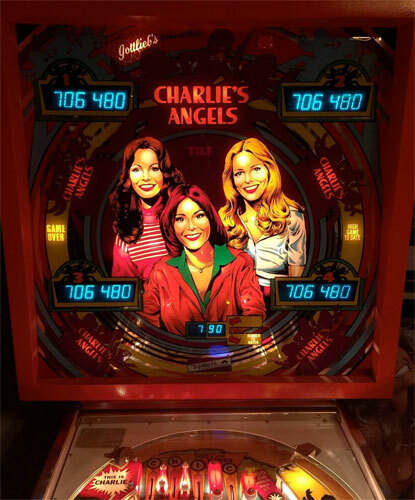 Check out these 1978 Gottlieb Charlie's Angels Pinball Machines for sale. You will also find parts and accessories including the LED kit, Ramps, Pop Bumpers, Speaker Upgrade, Flyer, Sound Board, Flipper Rebuild Kit, Fuse Kit, CPU Rom Chip Set, Translite, Playfield Plastics, Target Set, Mods, and Custom Target Decals. The vintage backglass features great art showing Jaclyn Smith, Kate Jackson, and Cheryl Ladd from the 1970's TV show. Good shots to the drop targets and fun 70s nostalgia. Check the listings below for available machines.